Any filmmakers looking to edge themselves into the complimentary critical limelight next year might want to consider serving up a compelling human drama tinged with humour and realism, named something-hood. The approach worked for Richard Linklater and it has worked again here, this time for Céline Sciamma whose film about a young woman’s life after education is arguably the best of 2015 thus far. The titular girl is Marieme, or Vic, played with exquisite poise by Karidja Touré. Caring for her two younger sisters while her mother works evenings has hampered Marieme’s success in school, and she’s unable to repeat classes for a third year running. As such she strives to take control of her present, believing her future is too far beyond reach. A group of girls, probably slightly older, invite Marieme to join their gang and the conflicted teen accepts. This is very simple cinema. From a technical standpoint there are no obvious tricks, no special effects, because there is no need. 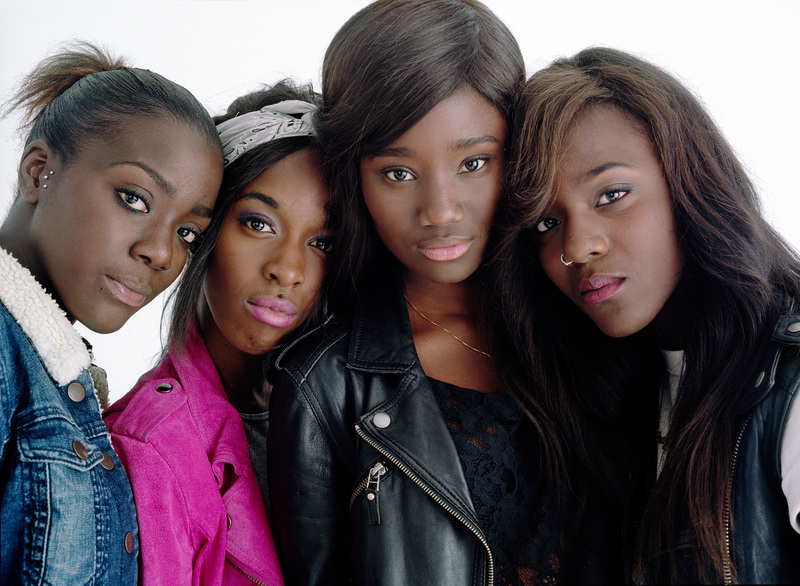 Girlhood is injected instead with dramatic heft and humanistic depth. It is better than the director’s first voyage into the challenges of female maturity, Water Lilies, which does relay some raw authenticity but is ultimately a touch one dimensional. Here, we journey through the many different and very real experiences of burgeoning adulthood. 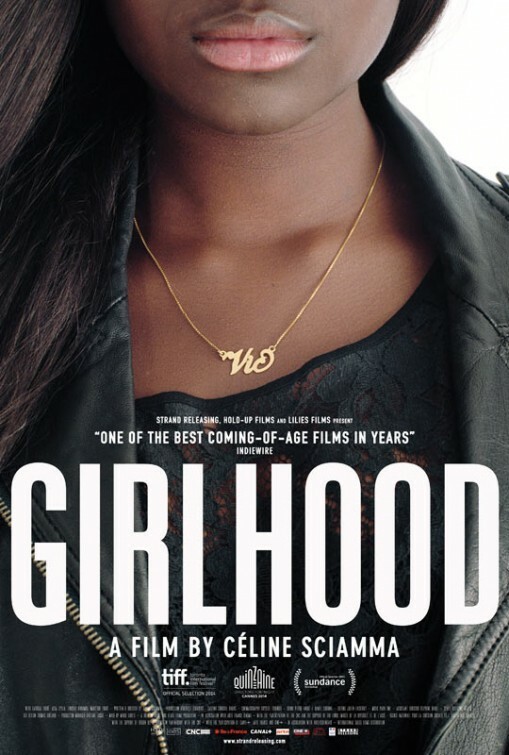 For one, Girlhood is braver than Sciamma’s debut film, an attribute highlighted by Marieme’s decision to join a gang from the get-go. Instantly she finds herself surrounded by three girls — Lady, Adiatou and Fily — who aren’t the most affable people. We’re certainly not drawn to them; when the invitation to join is presented to Marieme, you get the urge to reach through the screen and point her in another direction. The group don’t necessarily go looking for trouble, but when it lands on their doorstep clearer heads often fail to prevail. Yet through deft writing and affecting acting, we feel ourselves rooting for Lady et al. The girls combat racial profiling with intimidation, and then erupt in a fit of giggles. They are relatable and genuine. Sciamma, who also penned the screenplay, makes it known that these characters have a great deal of learning to do. And they do learn. We see it through the eyes of Marieme, mostly, who often has to bear the brunt of her abusive older brother. But the piece doesn’t dwell on negativities — laughter and joy are frequently employed, mostly when the four females are in each other’s company. “You have to do what you want,” says Lady. Her suggestion is misguided — she’s talking in extremes, i.e. petty theft — but entirely true. Vexed by poor grades, Marieme struggles with the anxiety of unfulfilled potential. Touré captures this internal ache with such subtlety for much of the drama, before exploding in a fit of justifiable rage over a system that has clearly failed her: “Where’s the dream? You wanna tell me where your dreams are?” she bellows at her three friends in the second of two utterly masterful scenes. The first is like something out of Harmony Korine’s Spring Breakers, only with an added dose of reality. It sees the group collectively mime to Rihanna’s “Diamonds”, the screen tinted with an aqua fresh glare, in a hotel room rented for momentary respite from real life. The song lyrics reflect Marieme’s aspirations — those dreams she cares so much about — while also latching onto the more materialistic, idealistic psyche prominent in the minds of maturing teens (the quartet are all wearing delicate, expensive-looking dresses as they dance and sing about gemstones). Inevitably, there are lots of peaks and troughs — from our characters squabbling affectionately and giggling the day away, to painful rejection at home. A scene where Marieme’s brother returns to their apartment in a fit of rage as she chats happily to her younger sister is incredibly well acted, Touré’s instinctive reaction almost as good as it gets from an actor (especially one in her first film). The piece touches on gender politics but never gets weighed down by it because, most of the time, to the girls their gender isn’t an issue. Other themes that arise include the paranoia of growing up, where everything feels like a competition and everybody a competitor, embodied by pre-arranged fights between gang members. Though exceptional throughout, Girlhood arguably loses some vitality during the final act, but you get the sense that this decrease in energy is applied for a reason — it is Marieme’s worst half hour on screen, after all. The film is at its best when catching up with the four girls. Assa Sylla, Lindsay Karamoh, Mariétou Touré are each individually effective but their collective effort bulges with vigour. A game of minigolf game perfectly illustrates their infectious chemistry. Cinematographer Crystel Fournier makes use of light and darkness, blue tints, and a rich colour palette to make the film reverberate with life despite the gravelly surroundings. Blunt gang verbiage such as “iced” and “wasted” is littered throughout, a classically un-French touch that serves to keep the gritty, urban atmosphere afloat. 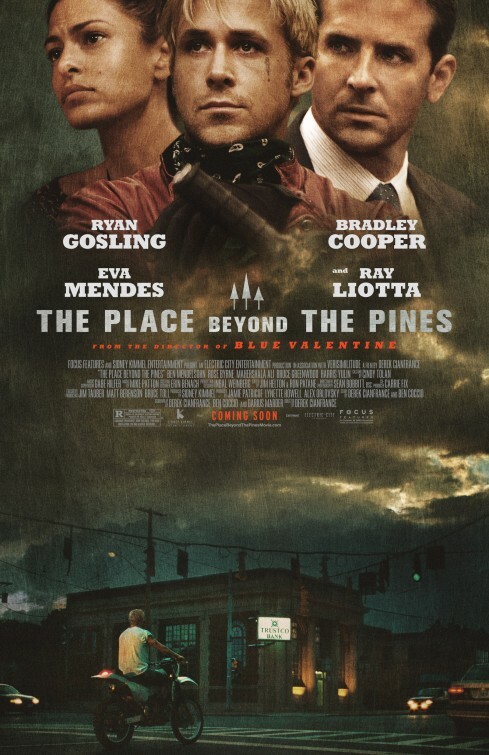 Electronic pulses in between scenes make up a soundtrack bearing that same psychedelic nighttime vibe as Drive. French cinema is a go-to destination for those after simplistic dramas about people and life (Blue is the Warmest Colour similarly lit up the big screen last year). Girlhood is another that fits that mould. In a way, it is very unlike Boyhood — the perspective taken on growing up is rougher in this instance — but the two films would make a wonderful double-bill, equal in overarching message and, just about, in quality.